You can add your own CSS definitions that suit your needs within this style sheet. Normally, after an update, all source code changes will be lost. 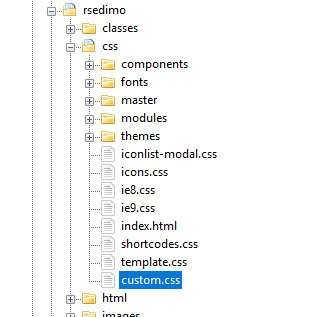 Using this method, your CSS definitions will be kept. Where can I find RSEdimo! 's style sheets? 5 persons found this article helpful.